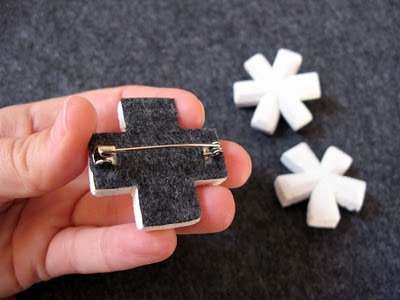 Kuberblog: ... on plaster brooches... no. ... on plaster brooches... no. 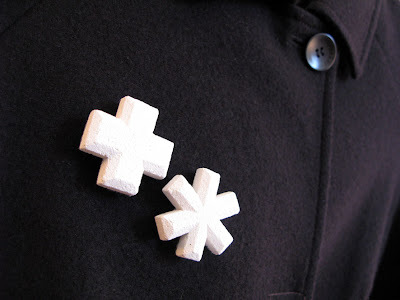 Last weekend I decided that it was time to start accessorising, and made a couple of brooches out of my plaster asterisk collection. During the week I tried to wear one and it was so heavy it... er... made the front of my shirt look very unappealing. So these won't be for sale, and will have to be For Big Winter Coat Use only!